The word “Prestige” denotes something that arouses admiration for quality. Little wonder that the Philips Lumea Prestige IPL Bri956 hair removal system is thusly named. In this review, we’ll learn more about this outstanding IPL device! 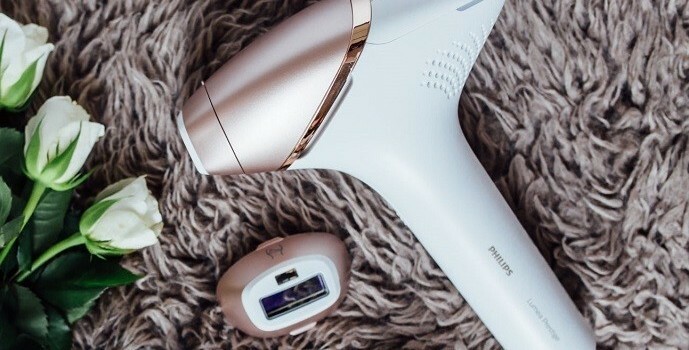 The Philips Lumea Prestige IPL Bri956 brings professional, salon-quality hair removal technology into your home. IPL – intense pulsed light – delivers pulses of light energy to the root of the hair, where light is absorbed by darkly-coloured melanin and converted to heat, disrupting the process of hair regrowth. 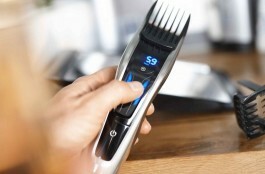 Philips – well known for its Sonicare electric toothbrush range, and top electric lady shavers like that Satin Shave – developed the Lumea Prestige over 14 years in collaboration with the world’s leading dermatologists. No two bodies are alike – a fact Philips wisely considered when designing the Lumea Prestige. Unlike some IPL hair removal devices, the Lumea includes four specially designed attachments, each of which is differently optimized, for the face, body, underarms and bikini area. The attachments, with their bespoke light windows and filters, are sleek in appearance, melding comfort, function and aesthetics. The small-sized face attachment gently treats the jawline, chin and upper lip – delicate areas often prone to irritation. The body attachment is perfect for removing hair from large areas such as the arms and legs. (It’s fast, too, taking, on average, under ten minutes per leg.) Use the underarm and bikini attachments to treat those sensitive areas which often suffer when exposed to aggressive, topical depilatory products. Just as bodies come in many shapes and sizes, so, too, is there wide variance in skin and hair types. The Philips Lumea Prestige IPL Bri956 is effective on many hair and skin tones, from dark blonde, brown and black hair, and pale to dark skin- and the SmartSkin sensor can be activated at any time, recommending the optimal setting for your skin type. We appreciate Philips’ honesty in acknowledging an incompatibility with red and very light hair, and very dark skin. This isn’t a shortcoming in design, but merely a technical limitation of IPL and lasers that’s helpful to be aware of. Hair is resilient. 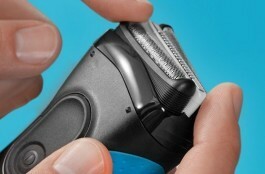 It regrows after shaving, waxing, epilation, and even lasering. That tenacity makes the Lumea’s efficacy – a 90%+ reduction in hair growth after 3 treatments – even more impressive. As with any hair removal regime, a degree of maintenance is required, but a brief touch-up every month or two is insignificant in light of such long-lasting results. 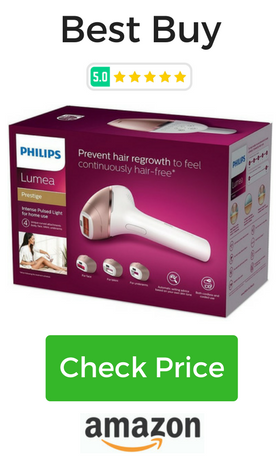 We won’t pretend the Philips Lumea Prestige is cheap. Its price tag reflects years of research, and a high level of performance and quality. Though some may balk at the cost, it bears considering the Philips Lumea was designed to provide up to 20 years of use. 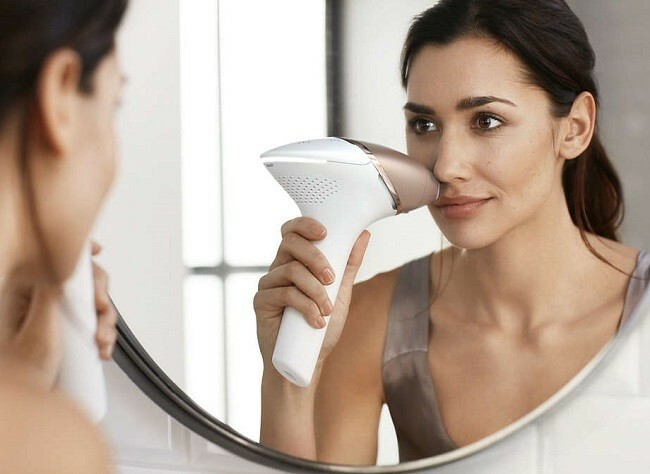 Contrast what is essentially a one-time purchase with the ongoing expense of other hair removal systems, and it becomes apparent that the Lumea is actually quite cost-effective. 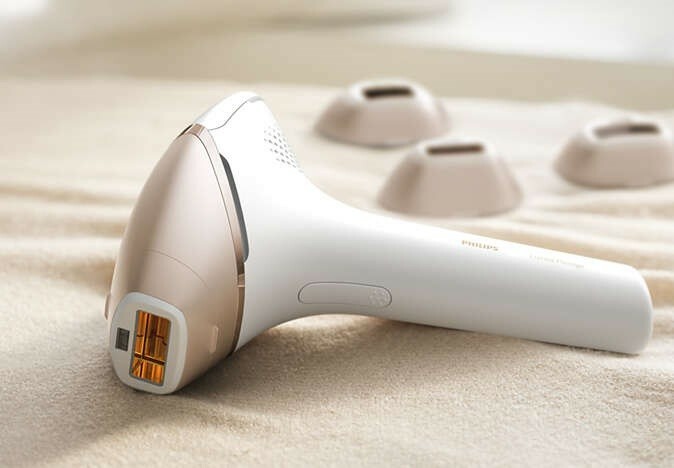 Not only is the Philips Lumea IPL Bri956 ergonomically shaped – the gently tapered handle and large, clear control buttons make it a pleasure to hold and use – it can be operated both with and without a cord. Cordless operation is convenient, and allows easier access to difficult to reach areas, while the use of a cord provides unlimited runtime. 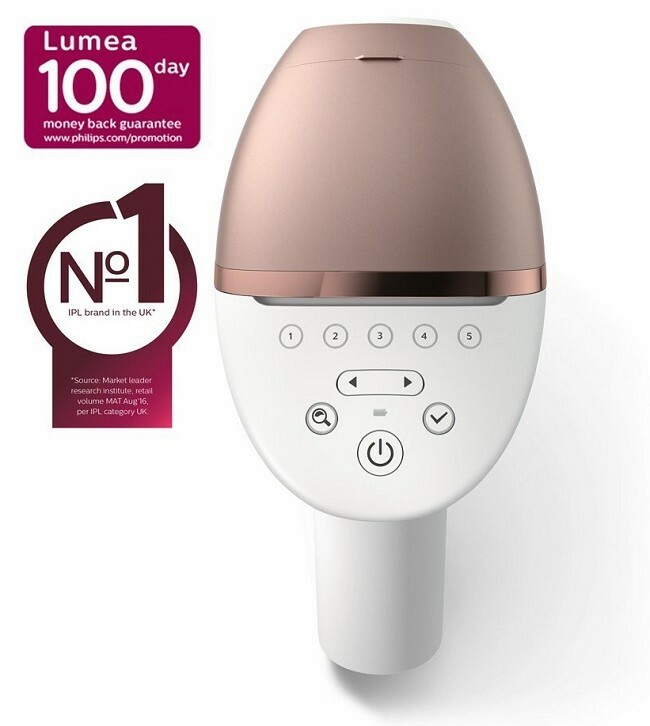 And frequent travelers will appreciate the wide input voltage power adapter – compatible with 100 to 240 volts, it allows the Lumea to be used almost anywhere in the world. 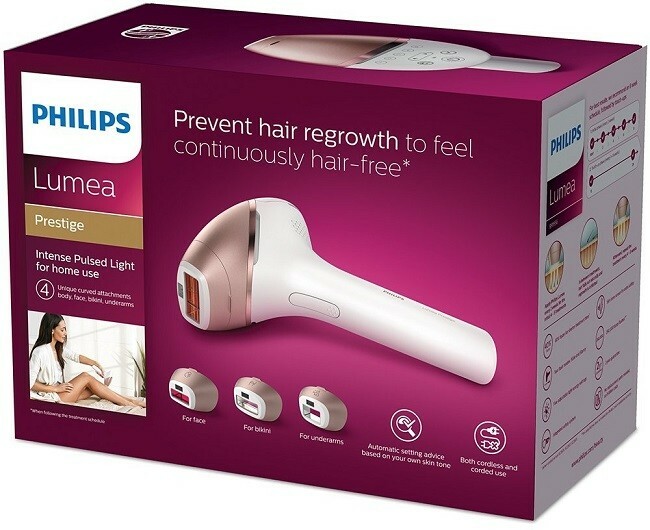 Philips’ Lumea IPL Bri956 is unquestionably one of the best hair removal devices available. From its versatility and brand heritage, to the high-quality construction, outstanding performance, long bulb life, and compatibility with a wide range of skin and hair types, this is almost certainly the last such device you’ll need. This isn’t just our view, it’s an opinion shared by hundreds of other reviewers, who have given the Lumea an average rating of 4.5 out of 5 stars. If you can afford it, and you’re looking for the best home IPL has to offer, then treat yourself to a “prestige” hair removal experience.